Last week I made 18 jars of strawberry jam. Anyone want to buy one? Seriously…it’s a lot of jam. But they are best gifts to give away. 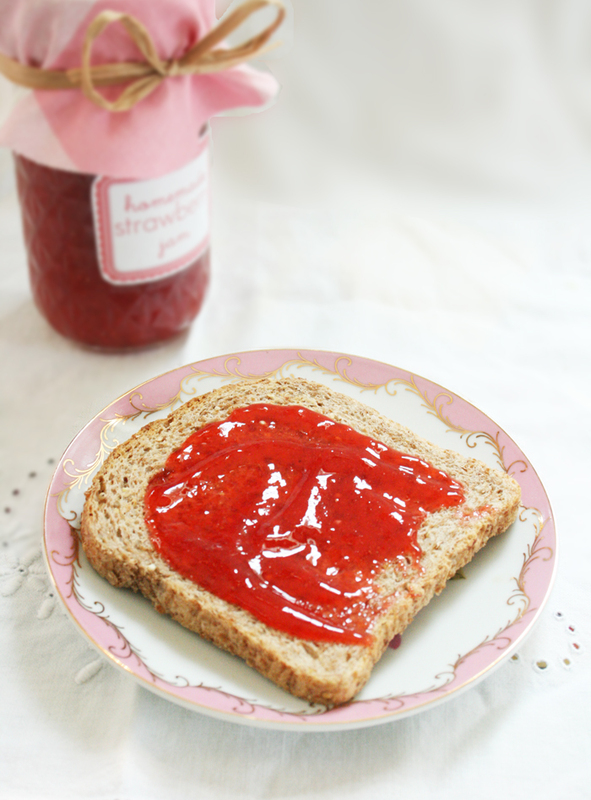 So, you can make your own strawberry jam! It’s really easy and we are right in the heart of the strawberry season. When making strawberries into jam I like to use a freezer jam recipe because it preserves the vibrant redish pink color of the strawberries. If you do a cooked jam recipe, the strawberries change to a dark red. Not as pretty. So here’s my Mom’s yummy freezer jam recipe. Before I go on into the instructions, I want to give you a briefing on ultra gel. This product can be bought through Carnet Foods. It’s a food thickener that is really easy to use and remains stable. You can actually double your recipe and it will thicken, unlike pectin. And you don’t have to wait until it sets; it thickens right there. You slowly stir the gel in until desired consistency. Combine crushed strawberries, juice concentrate, water, lemon juice and sugar until it dissolves. Gradually stir in ultra gel (1 tablespoon at a time). Allow to stand 10 minutes to thicken. Add more if desired. Pour into containers, label and freeze. 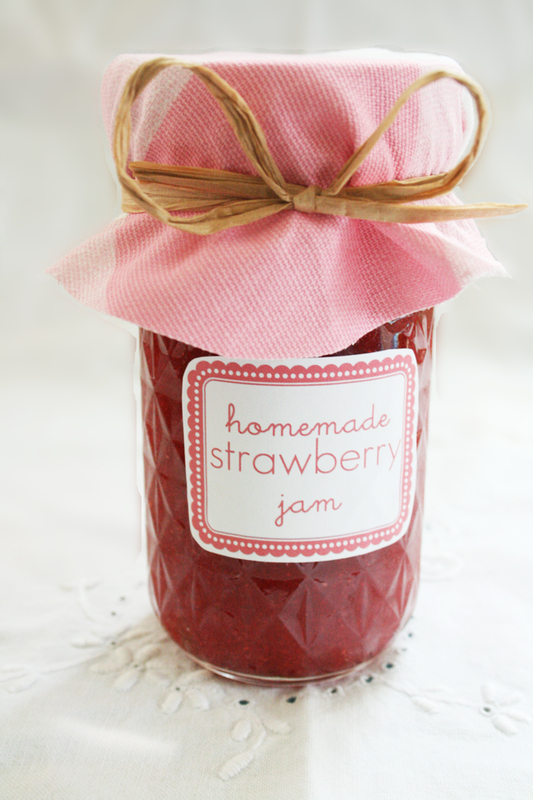 And here is the FREE DOWNLOAD STRAWBERRY JAM LABELS to make your jars look pretty and ready to give away. Enjoy! Mmmmm…..yummy! I'm so sad I missed picking this year! I'll have to do peaches. Looks yummy! Love the little plate too!